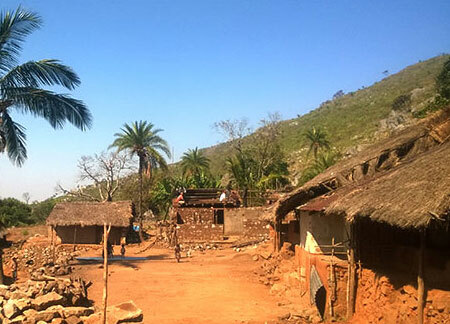 Village Tours in Odisha is the real way to know actual things of Odisha; it’s a state where more number of people leaving in villages, different villages have something uniqueness and the culture, festivals and rituals of most of the villages are a little different from each other. The tribal villages shows you the life in forest while Raghurajpur village popularly known as artisan village of Odisha where Pata Chitra paintings are painted by skilled artist shows you the art of Odisha and the normal villages shows you the real Odia peoples life. Over all in Village Tours packages in Odisha you get an opportunity to perceive Odisha. Arrival at Bhubaneswar Airport / Railway Station, pick up, check-in hotel, freshen up & relax, visit Khandagiri & Udayagiri (The famous rock-cut caves Hatigumpha and wonderful sculptures in Ranigumpha built by Mahameghavahana Aira Kharavela), Tribal Museum, Ekamra Haat (Craft Market), overnight @ Bhubaneswar hotel. Take your breakfast, visit Nandankanan (Zoological park and variety of wildlife sanctuary).The most attractions are the white tiger, Lion safari and Botanical garden, Cactus Garden, Lingaraj Temple, Rajarani Temple, Mukteswar Temple. Overnight @ Bhubaneswar hotel. Take your breakfast, proceed to Cuttack, visit Netaji Birth Place & Museum, Cuttack Chandi Temple, Deer Park, Barabati Stadium, Maritime Museum, back to Bhubaneswar. Overnight at Bhubaneswar hotel. Take your breakfast, check out from hotel, proceed to Puri, on the way visit ) Dhauli peace pagoda ( The Buddhist monument & famous for Kalinga war), 64 Yogini Temple, Pipili (Famous for Applique market and also known as the handicraft village), Raghurajpur artisan village, Sakhigopal Temple on arrival check-in hotel, after relax visit world famous Jagannath Temple by our Temple priest, evening enjoy at golden sea beach & beach market. Overnight @ Puri hotel. Take your breakfast, proceed to Satapada (Chilika Lake- The Largest Salt Water lake of Asia, It spreads over 1100 Square K.M ) enjoy the boat Cruise at Chilika lake & see “Rare Irrawaddy Dolphins” and “Scenic Island inside lake”. Then back to Puri, relax at golden sea beach and free time shopping at a local market. Overnight @ Puri hotel. Take your breakfast, proceed to Konark on the way visit Chhaitana Stone carving village, Ramchandi Temple, Balighai Beach latter visit Konark Sun Temple (The world heritage site and also known as the black pagoda).The Temple is an example of Orissan architecture of Ganga dynasty, enjoy “Sun Set” at Chandrabhaga beach, then back to Puri. Overnight @ Puri hotel. Take your breakfast, check out from hotel, proceed to Goplapur, on arrival check-in hotel, after relax enjoy “Sunset” at Gopalpur Beach and visit beach market. Overnight @ Gopalpur hotel. Take your breakfast, visit Chilika Lake, enjoy boat cruise at Chilika Lake and visit Kalijai Temple, Nalabana bird sanctuary, the Scenic beauty of Chilika Lake water back to the hotel and overnight @ Gopalpur hotel. Early morning take your breakfast and proceed to Jiranga Village (Gajapati District) and visit Great Buddhist Monastery at Jiranga, back to the hotel and overnight at Gopalpur hotel. Take your breakfast visit Rushikulya River (Ganjam District) for see Olive ridley turtles, Taptapani hot water spring, Tara Tarini Temple, Deer Park, Padmanavpur weaver village famous for matha handloom work, back to the hotel and overnight @ Gopalpur hotel. Take your breakfast, check out from hotel, proceed to Bhubaneswar, on the way visit some tribal villages, on arrival check in hotel and overnight @ Bhubaneswar hotel. Take your breakfast, check out from hotel, relax, and visit local market then transfer to Bhubaneswar Airport / Railway station for your onward journey with sweet memories of Jagannath Dham (Odisha).